Photographer Ivette Ivens captured our hearts with her fantastical imagery of breastfeeding mothers. 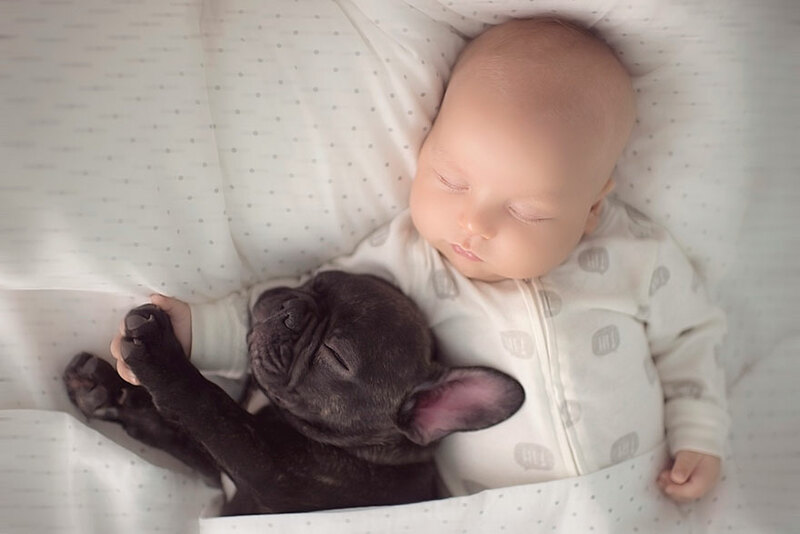 Her latest series appeals to our “OMG ADORABLE” side, featuring the incredible bond between her newborn son, Dilan and his French bulldog puppy pal. The heartwarming pair were both born on the same day, enticing Ivens to photograph their unique friendship and blossoming bond to immortalize the total cuteness overload. Ivens’ son Dilan, and the family’s extra new addition, bulldog pup Farley, both came into this world around five months ago. Their identical birth date spurred Ivens to adopt the wrinkly pup, to make him a furry companion for her son. Since his adoption, Farley has gone beyond making himself part of the family, instead Ivens has determined the little guy thinks he’s Dilan’s brother. The adorable pair are nearly inseparable, sharing everything from nap time to feeding time. From early on, Farley could be found curled up with Dilan in his crib, oftentimes using the infant as his own pillow (to the delight of the rest of the Ivens clan). Once Dilan became old enough to start squirming around the house, Farley could be found following suit, padding behind the infant as he moves about the floor. As Dilan begins teething, the pair can also be found chomping and chewing on toys simultaneously. 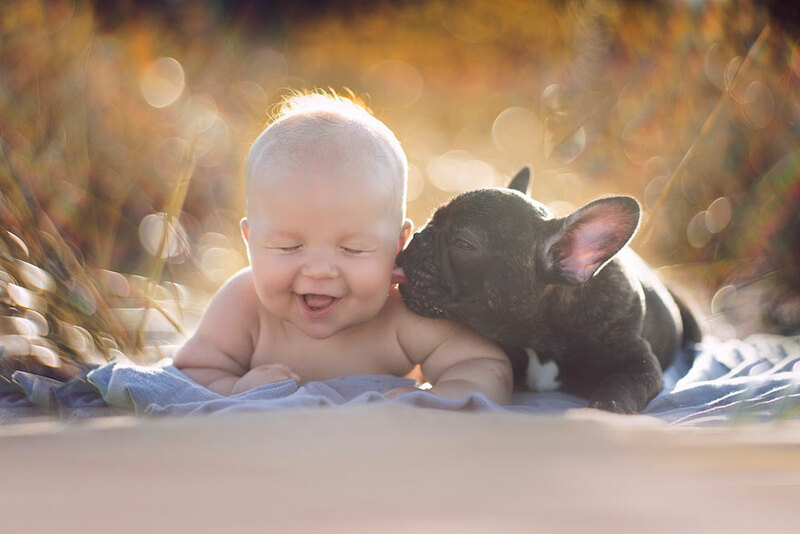 This remarkable friendship has been captured daily by Ivens, showing the love and bonding between human and animal as they snuggle, snort and giggle their way through baby-hood. Ivens’ son Dilan, and the family’s extra new addition, bulldog pup Farley, both came into this world around five months ago. Their identical birth date spurred Ivens to adopt the wrinkly pup, to make him a furry companion for her son. Since his adoption, Farley has gone beyond making himself part of the family, instead Ivens has determined the little guy thinks he’s Dilan’s brother. Once Dilan became old enough to start squirming around the house, Farley could be found following suit, padding behind the infant as he moves about the floor. As Dilan begins teething, the pair can also be found chomping and chewing on toys simultaneously.